Outdoor movies are certainly a thing here in Baltimore. Which I could not be happier about. My teenage years were filled with nights at the Drive-In and outdoor movies projected at a friend’s house. Of course, no outdoor movie would be complete without some snacks. 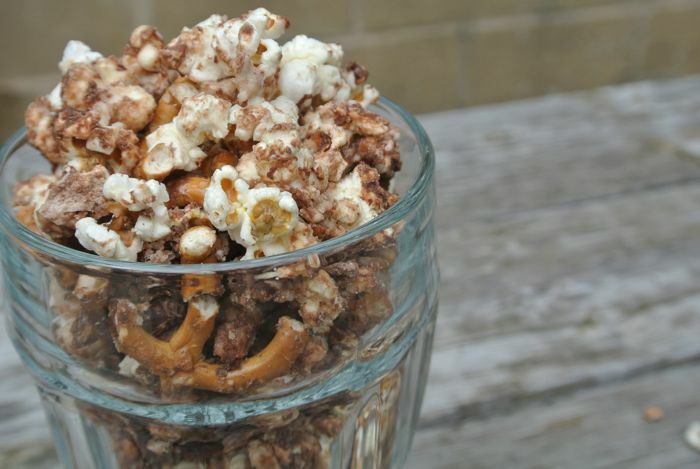 Here is the ultimate popcorn treat. It has everything you could want: salty, sweet and an unexpected surprise. 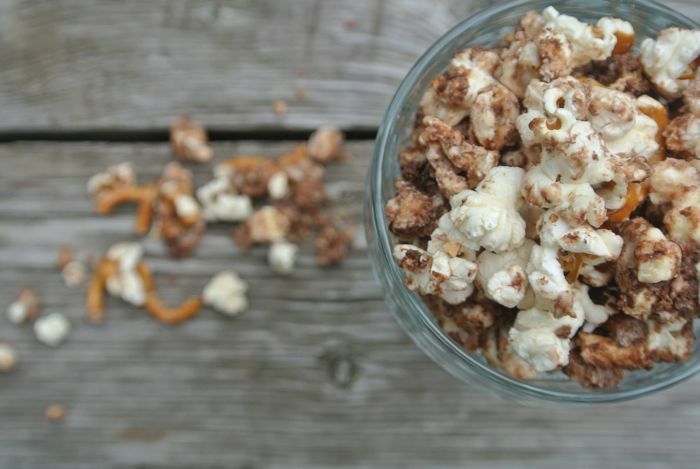 1) Combine popcorn, almonds, pretzels, coconut flakes, and chocolate chips in the largest bowl you have. 2) Bring to a boil sugar, salt, and 1/2 cup water in saucepan. Allow to boil without stirring until it is amber in color, between 8-12 minutes. 3) Take off burner and add in cream carefully. Mixture may spatter, go slowly. 4) Add marshmallows and continue mixing until melted and combined throughly. 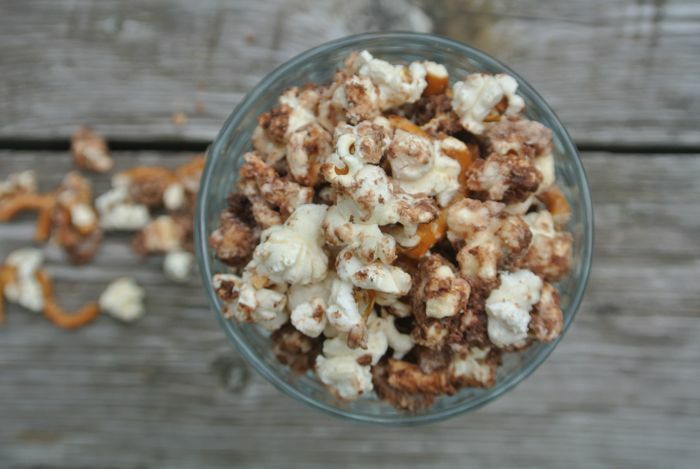 5) Combine caramel sauce with popcorn mixture. Mix well with a rubber spatula. I originally set my popcorn in a dish pan to set into bars, but they didn’t take. I think this was because it was a very warm day. It was worth adding them flat to baking dish (that has been coated with non-cooking spray) as they set a bit into small snacking balls. Also, the chocolate chips don’t coat all of the popcorn, but I liked that every bite was a bit different.